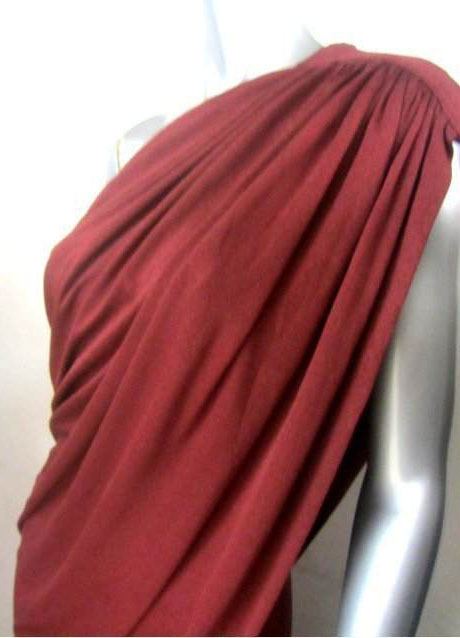 70s disco dress - Halston grecian, draped, one shoulder, fluid. 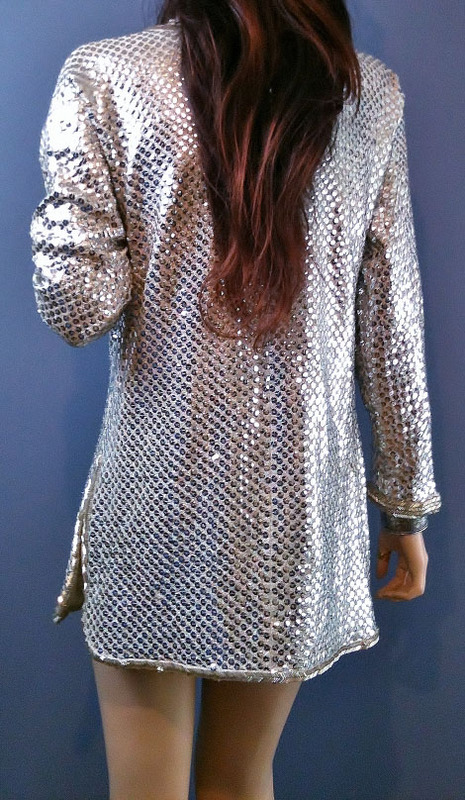 70s disco sequin mini dress - silver, beaded, metallic, sparkly. Sewn silver sequins on lightweight silver metallic mesh. 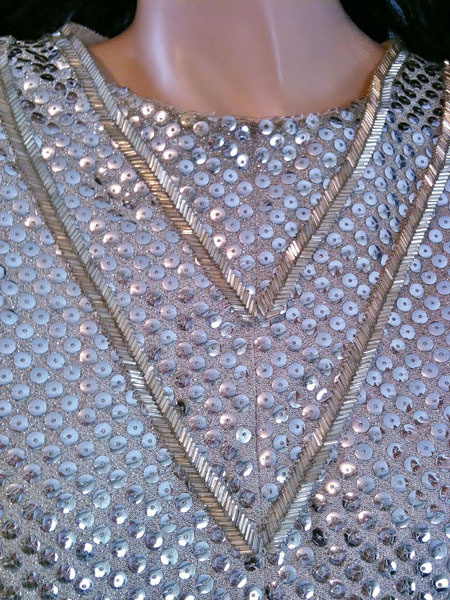 70s Metallic Knit Chains Party Disco Mini Dress. Silver and gold metallic knit dress. Chains draping over back and sleeves. High mock neck.